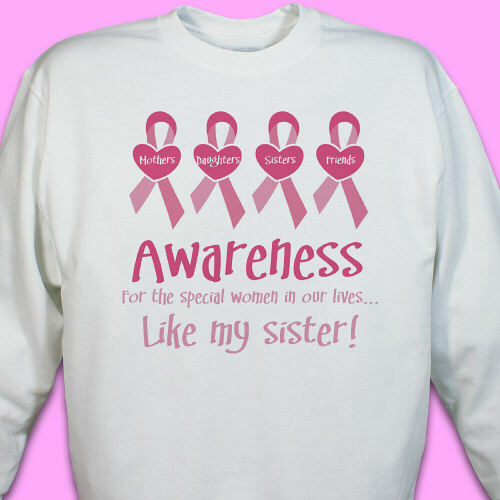 Our Awareness - Breast Cancer Awareness Sweatshirt is available on our premium white cotton/poly blend Sweatshirt, machine washable in adult sizes S-3XL. 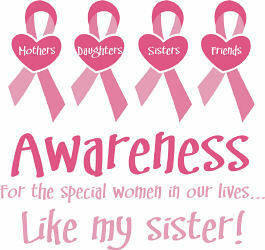 Also available on Pink. Includes FREE Personalization! Personalized with any title. For every Breast Cancer Awareness item you purchase, we'll donate 15% of the purchase price to Breast Cancer Awareness to aid in the fight against breast cancer.